Rush Limbaugh Analyzes Trump's Debate Performance: "I Think He Wants to Wrap This Up"
On Saturday night Donald Trump took on the Bush family, accused George W. Bush of lying to get into war, and defended Planned Parenthood. RUSH LIMBAUGH: If you look at South Carolina, it is an open primary, meaning Democrats can vote. We took advantage of this, Operation Chaos, Democrat side back in 2008. Democrats can vote, independents can vote. And the things that Trump said and did Saturday night came out of nowhere. They didn’t make any sense. 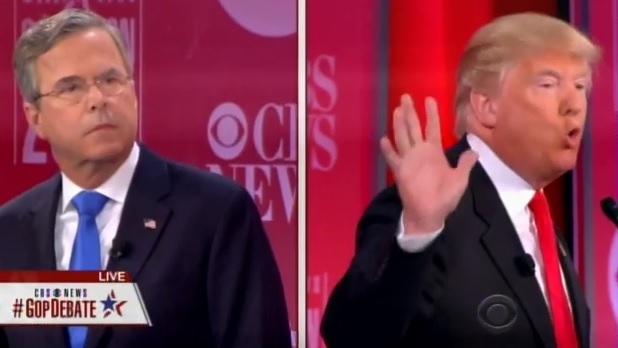 Here we are in a Republican primary, and Donald Trump, out of the blue, starts blaming the Bush family for 9/11, for knowing that the intelligence was made up, that there never were any weapons of mass destruction, and they knew it, Trump said. On the stage at a Republican debate, Donald Trump defended Planned Parenthood. Not the abortion stuff, he said, but the fact that they do great things for women’s health. Folks, there were a number of occasions where Donald Trump sounded like the Daily Kos blog, where Donald Trump sounded like the Democrat Underground, sounded like any average host on MSNBC. And I said to myself, “Now, wait a minute. What’s going on?” Trump is not — I don’t care what any of you think, he’s not stupid. He has political advisors. He has a lot of people who are conservatives who are there to tell him where the boundaries are, and he crossed those boundaries on Saturday. I don’t know how many people in his circle knew where he was going Saturday night, if he was gonna go there and how far. But on a Republican debate stage, defending Planned Parenthood in language used by the left, going after George W. Bush and Jeb Bush and the entire Bush family, for the most part, using the terminology of Democrats, people think that Trump was out of control, that he had emotional incontinence that night. You like that term? Emotional incontinence. Lost control. Was out of control. Well, maybe, but I still think there was a strategy going into this. RUSH: Short version, I think Trump strategically was making a move on independents and Democrats in South Carolina since it’s open. And I think that he wants to wrap this up ASAP. I think he wants a blow ’em out, going-away win in South Carolina. I think he just wants to wrap this up. I think he thinks he can. I think the audience booing him ticked him off. It’s been happening the last couple, three debates. The donors have gotten a majority of the tickets. I don’t recall any Republican debate with the amount of booing that I heard on Saturday night. I remember debates with very little applause, but not outright booing. And it wasn’t just Trump. It was Cruz as well. The establishment’s trying to rig these debates as they are seen on TV. The establishment was trying to humiliate and embarrass Ted Cruz and Trump. And I think it really ticked Trump off and may have been — I’m wild guessing here — may have been one of the reasons why he was a victim of emotional incontinence.